4-packs of pre rolls from Ceres! 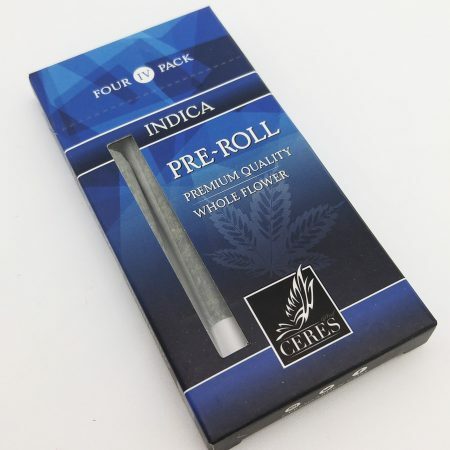 These .75g pre rolls come in a cardboard pack for easy use and easy travels! : ) This strain is believed to be a cross of Velvet Kush and 9lb Hammer from Ceres. The buds are very large and dense and are covered in beautiful sparkly trichomes. The effects are heavy and sedating- perfect for winding down after a long day.